Just over one gram of berkelium has been produced in the United States since 1967. 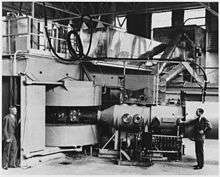 There is no practical application of berkelium outside of scientific research which is mostly directed at the synthesis of heavier transuranic elements and transactinides. A 22 milligram batch of berkelium-249 was prepared during a 250-day irradiation period and then purified for a further 90 days at Oak Ridge in 2009. This sample was used to synthesize the element tennessine for the first time in 2009 at the Joint Institute for Nuclear Research, Russia, after it was bombarded with calcium-48 ions for 150 days. This was the culmination of the Russia–US collaboration on the synthesis of elements 113 to 118. 3), or photochemical oxidation procedures. Berkelium(IV) is then extracted with ion exchange, extraction chromatography or liquid-liquid extraction using HDEHP (bis-(2-ethylhexyl) phosphoric scid), amines, tributyl phosphate or various other reagents. These procedures separate berkelium from most trivalent actinides and lanthanides, except for the lanthanide cerium (lanthanides are absent in the irradiation target but are created in various nuclear fission decay chains). 1 2 3 Hammond C. R. "The elements" in Lide, D. R., ed. (2005). CRC Handbook of Chemistry and Physics (86th ed.). Boca Raton (FL): CRC Press. ISBN 0-8493-0486-5. 1 2 Peterson 1984, p. 45. ↑ Peterson 1984, p. 34. 1 2 3 Peterson, J. R.; Fahey, J. A.; Baybarz, R. D. (1971). "The crystal structures and lattice parameters of berkelium metal". J. Inorg. Nucl. Chem. 33 (10): 3345–51. doi:10.1016/0022-1902(71)80656-5. ↑ Peterson 1984, p. 44. 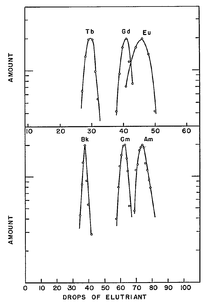 1 2 Itie, J P; Peterson, J R; Haire, R G; Dufour, C; Benedict, U (1985). "Delocalisation of 5f electrons in berkelium-californium alloys under pressure". Journal of Physics F: Metal Physics. 15 (9): L213. Bibcode:1985JPhF...15L.213I. doi:10.1088/0305-4608/15/9/001. 1 2 3 4 5 6 7 Hobart, David E.; Peterson, Joseph R. (2006). "Berkelium". In Morss, Lester R.; Edelstein, Norman M.; Fuger, Jean. The Chemistry of the Actinide and Transactinide Elements (PDF). 3 (3rd ed.). Dordrecht, the Netherlands: Springer. pp. 1444–98. doi:10.1007/1-4020-3598-5_10. ↑ Fahey, J. A.; Peterson, J. R.; Baybarz, R. D. (1972). "Some properties of berkelium metal and the apparent trend toward divalent character in the transcurium actinide metals". Inorg. Nucl. Chem. Lett. 8 (1): 101–7. doi:10.1016/0020-1650(72)80092-8. ↑ Ward, John W.; Kleinschmidt, Phillip D.; Haire, Richard G. (1982). "Vapor pressure and thermodynamics of Bk-249 metal". J. Chem. Phys. 77 (3): 1464–68. Bibcode:1982JChPh..77.1464W. doi:10.1063/1.443975. 1 2 Peterson 1984, p. 55. ↑ Sullivan, Jim C.; Schmidt, K. H.; Morss, L. R.; Pippin, C. G.; Williams, C. (1988). "Pulse radiolysis studies of berkelium(III): preparation and identification of berkelium(II) in aqueous perchlorate media". Inorganic Chemistry. 27 (4): 597. doi:10.1021/ic00277a005. 1 2 3 Thompson, Stanley G.; Seaborg, Glenn T. (1950). "Chemical Properties of Berkelium". doi:10.2172/932812. ↑ Holleman 2007, p. 1956. ↑ B. Myasoedov; et al. (1972). Analytical chemistry of transplutonium elements. Moscow: Nauka. ISBN 0-470-62715-8. 1 2 Audi, G; Bersillon, O.; Blachot, J.; Wapstra, A.H. (1997). "The NUBASE evaluation of nuclear and decay properties" (PDF). Nuclear Physics A. 624: 1. Bibcode:1997NuPhA.624....1A. doi:10.1016/S0375-9474(97)00482-X. ↑ NNDC contributors (2008). Alejandro A. Sonzogni (Database Manager), ed. "Chart of Nuclides". Upton, New York: National Nuclear Data Center, Brookhaven National Laboratory. Retrieved 2010-03-01. ↑ Thompson, S.; Ghiorso, A.; Seaborg, G. (1950). "Element 97". Physical Review. 77 (6): 838. Bibcode:1950PhRv...77..838T. doi:10.1103/PhysRev.77.838.2. ↑ Thompson, S. G.; Cunningham, B. B.; Seaborg, G. T. (1950). "Chemical Properties of Berkelium". Journal of the American Chemical Society. 72 (6): 2798. doi:10.1021/ja01162a538. ↑ Heiserman, David L. (1992). "Element 98: Californium". Exploring Chemical Elements and their Compounds. TAB Books. p. 347. ISBN 0-8306-3018-X. ↑ Thompson, S.; Ghiorso, A.; Harvey, B.; Choppin, G. (1954). "Transcurium Isotopes Produced in the Neutron Irradiation of Plutonium". Physical Review. 93 (4): 908. Bibcode:1954PhRv...93..908T. doi:10.1103/PhysRev.93.908. ↑ Magnusson, L.; Studier, M.; Fields, P.; Stevens, C.; Mech, J.; Friedman, A.; Diamond, H.; Huizenga, J. (1954). "Berkelium and Californium Isotopes Produced in Neutron Irradiation of Plutonium". Physical Review. 96 (6): 1576. Bibcode:1954PhRv...96.1576M. doi:10.1103/PhysRev.96.1576. ↑ Eastwood, T.; Butler, J.; Cabell, M.; Jackson, H.; Schuman, R.; Rourke, F.; Collins, T. (1957). 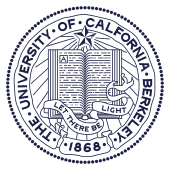 "Isotopes of Berkelium and Californium Produced by Neutron Irradiation of Plutonium". Physical Review. 107 (6): 1635. Bibcode:1957PhRv..107.1635E. doi:10.1103/PhysRev.107.1635. 1 2 Peterson 1984, p. 30. ↑ Hulet, E. (1956). "New Isotope of Berkelium". Physical Review. 102: 182. Bibcode:1956PhRv..102..182H. doi:10.1103/PhysRev.102.182. ↑ Milsted, J; Friedman, A.M.; Stevens, C.M. (1965). "The alpha half-life of berkelium-247; a new long-lived isomer of berkelium-248". Nuclear Physics. 71 (2): 299. Bibcode:1965NucPh..71..299M. doi:10.1016/0029-5582(65)90719-4. ↑ Williams, Kimberly; Seaborg, Glenn (1979). "New isotope 242Bk". Physical Review C. 19 (5): 1794. Bibcode:1979PhRvC..19.1794W. doi:10.1103/PhysRevC.19.1794. ↑ Nucleonica (2007–2011). "Nucleonica: Universal Nuclide Chart". Nucleonica: Universal Nuclide Chart. Nucleonica. Retrieved July 22, 2011. 1 2 Peterson 1984, p. 32. ↑ Peterson 1984, pp. 33–34. 1 2 Peterson 1984, p. 38. ↑ "Радионуклидные источники и препараты". Research Institute of Atomic Reactors. Retrieved 2010-09-26. ↑ Greenwood 1997, p. 1262. 1 2 3 Peterson 1984, p. 41. ↑ Spirlet, J. C.; Peterson, J. R.; Asprey, L. B. (1987). "Preparation and Purification of Actinide Metals". Adv. Inorg. Chem. Advances in Inorganic Chemistry. 31: 1–41. doi:10.1016/S0898-8838(08)60220-2. ISBN 9780120236312. ↑ Peterson, J; Cunningham, B.B. (1967). "Crystal structures and lattice parameters of the compounds of berkelium I. Berkelium dioxide and cubic berkelium sesquioxide". Inorganic and Nuclear Chemistry Letters. 3 (9): 327. doi:10.1016/0020-1650(67)80037-0. 1 2 Baybarz, R.D. (1968). "The berkelium oxide system". Journal of Inorganic and Nuclear Chemistry. 30 (7): 1769. doi:10.1016/0022-1902(68)80352-5. ↑ Holleman 2007, p. 1972. 1 2 Peterson 1984, p. 51. 1 2 Holleman 2007, p. 1969. 1 2 3 Peterson 1984, p. 47. 1 2 3 Young, J. P.; Haire, R. G.; Peterson, J. R.; Ensor, D. D.; Fellows, R. L. (1980). "Chemical consequences of radioactive decay. 1. Study of californium-249 ingrowth into crystalline berkelium-249 tribromide: a new crystalline phase of californium tribromide". Inorganic Chemistry. 19 (8): 2209. doi:10.1021/ic50210a003. 1 2 3 4 5 6 Greenwood 1997, p. 1270. 1 2 3 Peterson 1984, p. 48. 1 2 Ensor, D; Peterson, J.R.; Haire, R.G. ; Young, J.P. (1981). "Absorption spectrophotometric study of berkelium(III) and (IV) fluorides in the solid state". Journal of Inorganic and Nuclear Chemistry. 43 (5): 1001. doi:10.1016/0022-1902(81)80164-9. ↑ Keenan, Thomas K.; Asprey, Larned B. (1969). 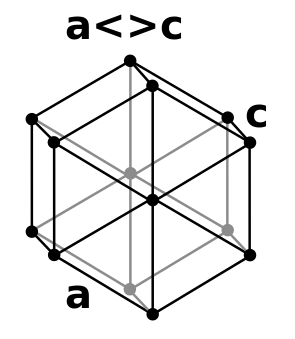 "Lattice constants of actinide tetrafluorides including berkelium". Inorganic Chemistry. 8 (2): 235. doi:10.1021/ic50072a011. ↑ Peterson, J.R.; Cunningham, B.B. (1968). "Crystal structures and lattice parameters of the compounds of berkelium—IV berkelium trifluoride☆". Journal of Inorganic and Nuclear Chemistry. 30 (7): 1775. doi:10.1016/0022-1902(68)80353-7. 1 2 Laubereau, Peter G.; Burns, John H. (1970). "Microchemical preparation of tricyclopentadienyl compounds of berkelium, californium, and some lanthanide elements". Inorganic Chemistry. 9 (5): 1091. doi:10.1021/ic50087a018. ↑ Peterson, J.R.; Cunningham, B.B. (1968). "Crystal structures and lattice parameters of the compounds of berkelium—IIBerkelium trichloride". Journal of Inorganic and Nuclear Chemistry. 30 (3): 823. doi:10.1016/0022-1902(68)80443-9. ↑ Peterson, J. R.; Young, J. P.; Ensor, D. D.; Haire, R. G. (1986). "Absorption spectrophotometric and x-ray diffraction studies of the trichlorides of berkelium-249 and californium-249". Inorganic Chemistry. 25 (21): 3779. doi:10.1021/ic00241a015. ↑ Peterson 1984, p. 52. 1 2 Stevenson, J; Peterson, J (1979). "Preparation and structural studies of elemental curium-248 and the nitrides of curium-248 and berkelium-249". Journal of the Less Common Metals. 66 (2): 201. doi:10.1016/0022-5088(79)90229-7. ↑ Damien, D.; Haire, R.G. ; Peterson, J.R. (1980). "Preparation and lattice parameters of 249Bk monopnictides". Journal of Inorganic and Nuclear Chemistry. 42 (7): 995. doi:10.1016/0022-1902(80)80390-3. 1 2 Peterson 1984, p. 53. ↑ Peterson 1984, pp. 39–40. 1 2 Peterson 1984, p. 54. ↑ Haire, Richard G. (2006). "Californium". In Morss, Lester R.; Edelstein, Norman M.; Fuger, Jean. The Chemistry of the Actinide and Transactinide Elements (PDF). 3 (3rd ed.). Dordrecht, the Netherlands: Springer. pp. 1499–1576. doi:10.1007/1-4020-3598-5_11. ↑ Chadwick, M. B.; Obložinský, P.; Herman, M.; et al. (2006). "ENDF/B-VII.0: Next Generation Evaluated Nuclear Data Library for Nuclear Science and Technology". Nuclear Data Sheets. 107 (12): 2931–3060. Bibcode:2006NDS...107.2931C. doi:10.1016/j.nds.2006.11.001. ↑ Koning, A. J.; Avrigeanu, M.; Avrigeanu, V.; et al. (2007). "The JEFF evaluated nuclear data project". International Conference on Nuclear Data for Science and Technology. ND2007 (194). doi:10.1051/ndata:07476.